A version of this article was published in BizWest in May 2017. Against the backdrop of the Trump Administration’s determined deregulatory efforts, the Tenth Circuit Court of Appeals (which covers Colorado) recently affirmed substantial federal authority to regulate activity on private lands. While the Court delivered its opinion in the context of the Endangered Species Act (“ESA” or “Act”), the case has broader implications for environmental regulation in general. The Act can likewise affect private actions. Once a species is “listed,” the Act’s keystone provision prohibits the “take” of that species without a permit or other authorization. While “take” includes killing, the prohibition encompasses a much broader range of actions, such as harassing, harming, pursuing, or capturing. It can even include significant habitat modification or degradation. With respect to some species, this broad prohibition can complicate routine land management activities. Such was the case with the Utah Prairie Dog (“UPD”), a listed species that lives only in Utah, and mostly on non-federal land. People for the Ethical Treatment of Property Owners (“PETPO”) is a group of over 200 private landowners and other entities who say that regulation of the UPD has prevented them from building homes and starting small businesses. PETPO challenged the authority of the United States government to regulate the take of UPDs on private land. The United States Constitution delineates Congress’s powers. Those not granted to Congress are reserved to the states or the people. The Constitution’s Commerce Clause authorizes Congress to “regulate Commerce with foreign Nations, and among the several States, and with the Indian Tribes.” Congress relied on this authority to pass the ESA and other environmental laws. PETPO argued that the Commerce Clause does not authorize Congress to regulate the take on non-federal land of a purely intrastate species that does not itself substantially affect interstate commerce. The Circuit Court, however, declined PETPO’s invitation to evaluate the prohibited activity in isolation, and instead considered its place in the ESA as a whole. The Court determined that Congress had a rational basis to believe that regulating the take of the UPD is essential to the Act’s broader regulatory scheme. The Court found this broader scheme to substantially affect interstate commerce, and therefore upheld the federal government’s authority to protect the UPD. To hold otherwise, the Court said, would leave a “gaping hole” in the ESA, since almost 70% of species listed under the Act exist solely within one state. The Court further explained that excising a specific activity governed within a larger statutory scheme would subject Congress’s Commerce Clause authority to “death by 1000 cuts.” This would call into question the validity of the ESA itself, as well as other environmental laws. The result in this case was not really surprising. Every other Federal Circuit Court that has considered the issue has upheld the federal government’s authority to protect purely intrastate species under the Act. That is not to say that the UPD should rest comfortably in its burrow. The stringency of the Act itself has long generated calls for legislative relief. Today’s political climate may make such efforts more likely. Perhaps more importantly, since the mid-1990s the United States Supreme Court has showed renewed interest in reassessing Congress’s Commerce Clause power. Landmark opinions in 1995 and 2000 began to curb a power that some legal scholars had begun to regard as virtually limitless. The Trump Administration’s deregulatory effort envisions a stronger state role in environmental regulation. This effort will undoubtedly encourage further legal challenges, and one – perhaps the UPD case – will eventually find its way to the Supreme Court. When that happens, the makeup of the Court will play a significant role in the outcome. The Supreme Court’s conservative justices show a decided preference for stricter limits on Congress’s Commerce Clause power. Depending on the case and the makeup of the Supreme Court at that time, the resulting decision could profoundly and forever change the structure of environmental regulation in this country. 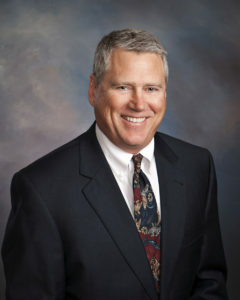 John Kolanz is a partner with Otis, Bedingfield and Peters, LLC in Loveland. He focuses on environmental and natural resource matters and can be reached at 970-663-7300 or JKolanz@nocoattorneys.com.